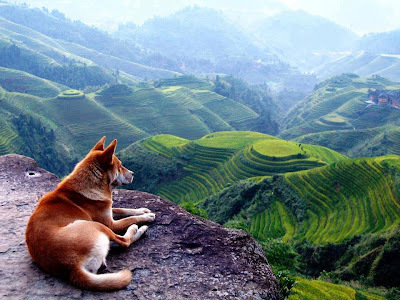 Where in the Philippines Is This Dog? 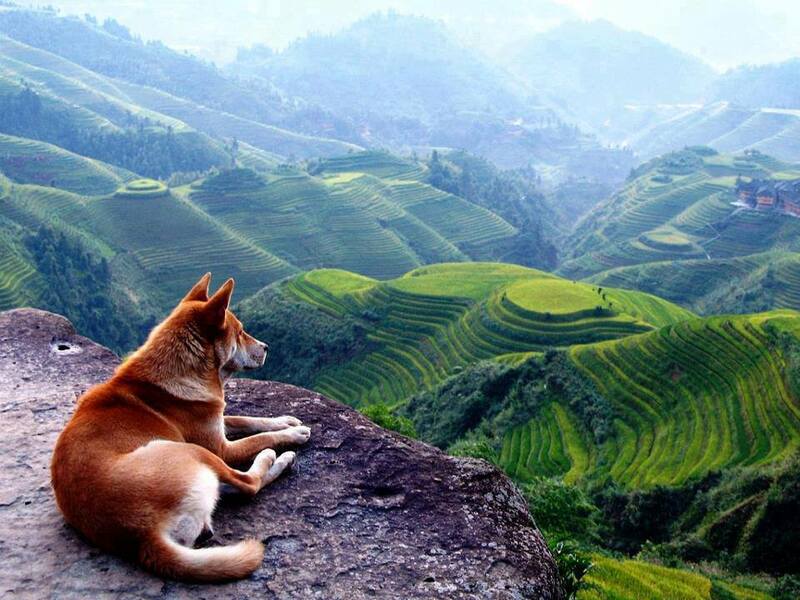 Can you guess where exactly in the Philippine is this dog? 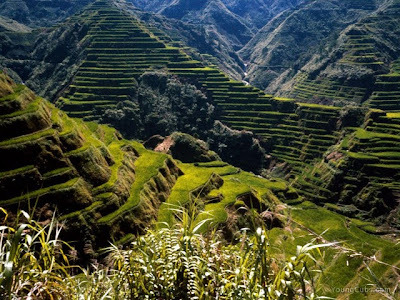 He's at the Banaue Rice Terraces in Ifugao Province, located in Luzon (very close to Mountain Province). These ancient terraces are 2,000-years old, and were carved into the mountains of Ifugao in the Philippines by ancestors of the Batad indigenous people. 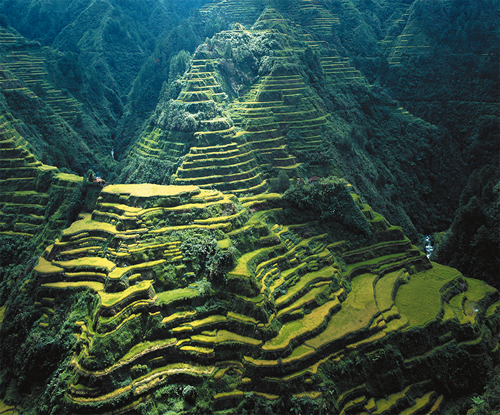 Such rice terraces are commonly referred to by Filipinos as the "Eighth Wonder of the World". It is believed that the terraces were built mostly by hand, with minimal equipment used. 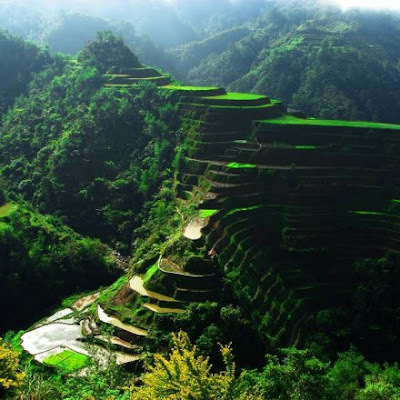 They are located about 1,500 meters (or 5,000 feet) above sea level and cover more than 10,000 square kilometers (or about 4,000 square miles) of mountainside. How do they get water? Apparently, all the needed water comes from the rainforests that lie above the terraces. Wanna go there? If so, you'd have to take a long bus ride from either Manila or Baguio. From Manila, it would take more than 10 hours. Unfortunately, there is no major airport nearby.